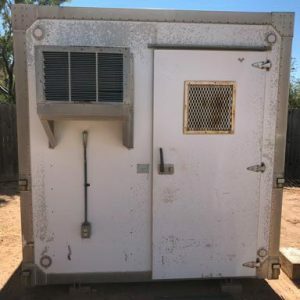 Metal Shelters - UsedShelter.com - Used Telecom Shelters & Cabinets for surplus/bargain prices! Most people are accustomed to the sight of metal shelters that protect utilities, cable company equipment, etc. 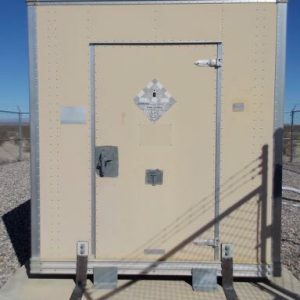 Metal shelters are found on nearly every neighborhood block, in business complexes, utilities substations, at roadsides, and even in forestry station settings. 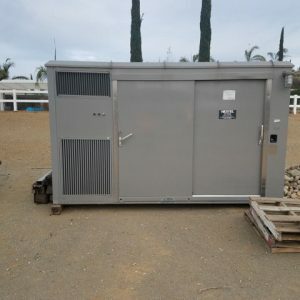 Their presence in so many settings and purposes is an indication of the adaptability and reliability of metal structures to protect valuable equipment. 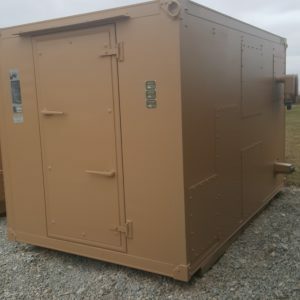 Prefabricated steel-framed metal shelters are used to protect sub stations and electrical control houses, pump systems, wind farm substations, data centers, power distribution centers, and serve in various military settings. 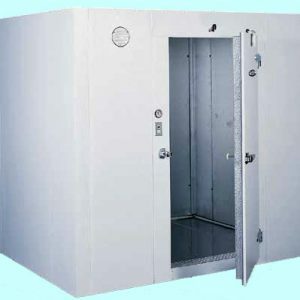 Metal shelters can be more easily transported and situated in difficult-to-access locations than concrete buildings. Shelters may be made of aluminum or steel and of varying thicknesses. They can be outfitted with aggregate siding or painted just about any color, depending on project specifications. Metal shelters typically are coated with rust inhibitive protection to reduce/eliminate metal corrosion. 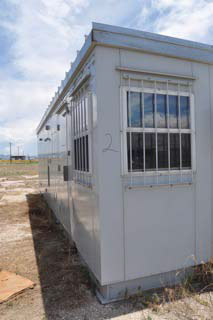 Many metal structures are also 1- and 2-hour fire rated and bullet resistant. Aluminum shelters are unique in that they provide high heat reflectivity (aluminum reflects the sun’s infra-red rays instead of absorbing the rays; aluminum shelters remain cooler). Aluminum also is “acoustically dead” meaning that sound waves don’t transmit through aluminum structures as readily as through other metal structures. Unlike other metal shelters that need special rust inhibitive coating, aluminum is more fully corrosion resistant. It also is durable in extreme environment conditions, high winds, and seismic zone 4 earthquake conditions. 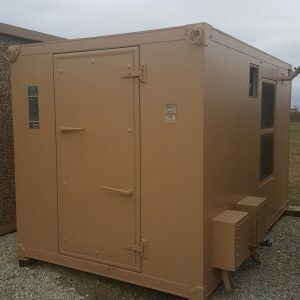 Metal shelters provide durability, flexibility, and portability and can be ideal options for protecting equipment or being repurposed to other shelter-providing service. 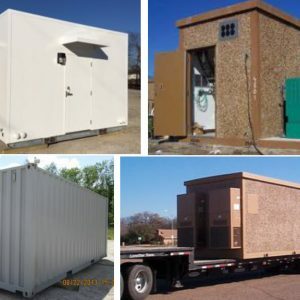 Tower Direct’s inventory of metal shelters may include structures from well-known manufacturers like Powerwave VersaFlex, Switzer, and Thermo Bond. 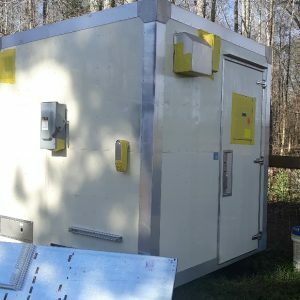 Inventory periodically includes new, never used shelters as well as used shelters. Contact Tower Direct for availability, product details, and pricing.